The Jazz Factory, established in 1993, is the North Shore’s only Dance Centre specialising in commercial dance styles. We run classes for children of all ages and of all levels of dance training and experience and are committed to providing students with the most up to date dance techniques and styles. Our aim is to foster a love of dance and a freedom of self-expression through movement. Enjoyment is our number one priority, however all children are encouraged to develop their dance style and technique to their full potential. We offer classes in Jazz, Hip Hop, Contemporary, Lyrical, Ballet, Musical Theatre, Acro Dance, Tap and Technique as well as ATOD Jazz examination classes (by invite only). We also offer specialty classes for our boys as well as a pre-school program ‘Ready Set Dance’ that incorporates Jazz, Tap, Hip Hop, Singing and Music for ages 2-5 years. In 2016 we also established our very own JF Dance Company which allows select students to perform at community events and eisteddfods throughout the year. Our JF Theatre company is open to all students and performs a large scale musical production each year in June and a smaller concert in November. All students will perform in The Jazz Factory end of year concerts. The Jazz Factory director, Kim Dresner, has trained in all forms of dance, as well as theatre and music. Kim has taught dance for many years both in Australia and overseas. She is a qualified Associate Teacher with the ATOD. 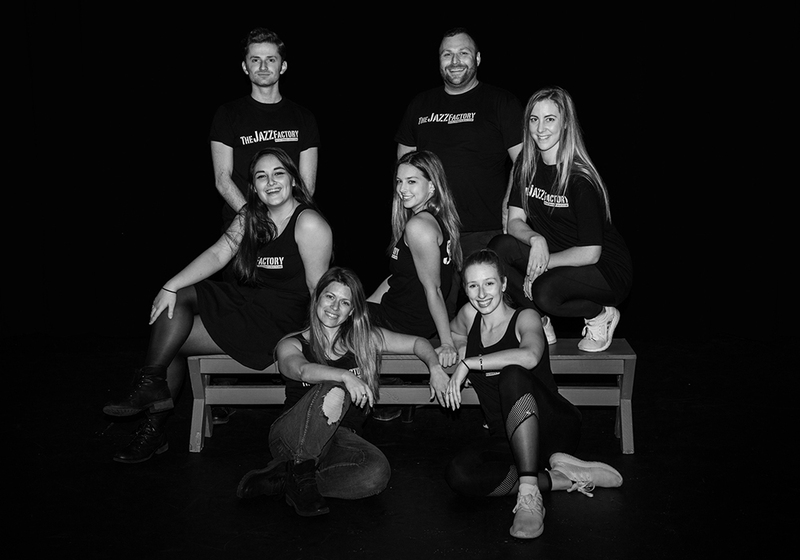 All teachers at The Jazz Factory are experienced in many forms of dance and are passionate about sharing their expertise and creating artists who love to dance. The Jazz Factory students regularly receive prizes at all major Sydney and regional eisteddfods, as well at State and Australasian Championship levels. 95% of all examination students have received Honours Plus or Honours with Distinction gradings. Former students have danced with the Sydney Dance Company, Bondi Ballet, the Compañia Nacional de Danza in Madrid, Bollywood, Cruise Ships and ADT (Australian Dance Theatre) and have undertaken further dance study at HSC and university level. Every two years, Kim takes advanced Jazz Factory dancers to New York for a dance intensive, helping take their dance to the next level. Read all about our intensive here: NYC 2017! We have a dedicated and enthusiastic team that love what they do.